For our latest contest, Citra Solv challenges our Citra Artists to turn over a new leaf and create a work of art that conveys your perceptions about this special season of change and color. · When creating a Citra Solv Collage (a multiple-layered artwork), one of the following elements must be included: altering National Geographic paper with Citra Solv; or using Citra Solv for photo image transfers. · Entries should be sent via email as an attachment in jpeg form to CitraArtContest@comcast.net. Please put "Falling Into Art II" in the subject line and indicate which category you wish to be placed in. · All entries must be received by midnight EST on April 18, 2019. Winners will be announced via Facebook on April 29, 2019. · Only those 18 and older may enter. Prizes mailed exclusively within continental United States. 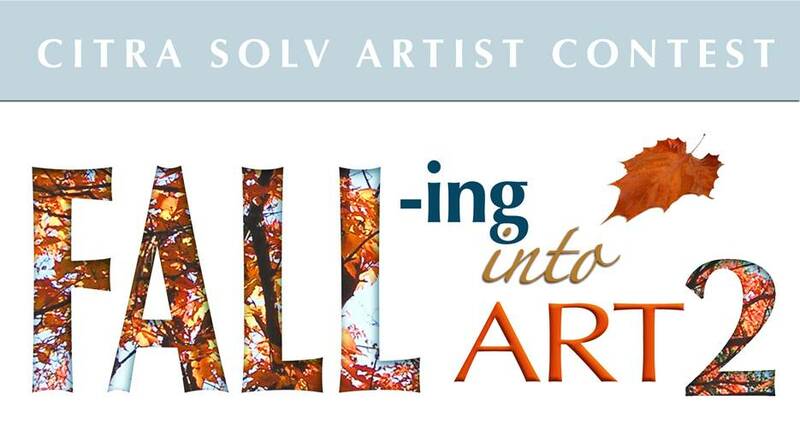 · Original artwork submitted to the Citra Solv “Falling Into Art II” Contest may appear online on Facebook and on the Citra Solv website.